After receiving her BA from Harvard University in 2008, Marielle moved west and has since been working as a director and producer in Los Angeles. She’s filmed extensively across the globe making numerous acclaimed television programs for networks including Animal Planet, Discovery Channel, and A&E. Recently, she have worked with some of the best stunt coordinators and second unit directors in the business on movies including John Wick 2 and Baby Driver. Her short films have toured the festival circuit with acceptances including LA Shorts Fest, Montreal World Film Festival, Cleveland International Film Festival, Cinequest, and NBCU Short Cuts. Her web spot for Shell’s #makethefuture campaign took first prize from Mofilm and has over 6 million views. 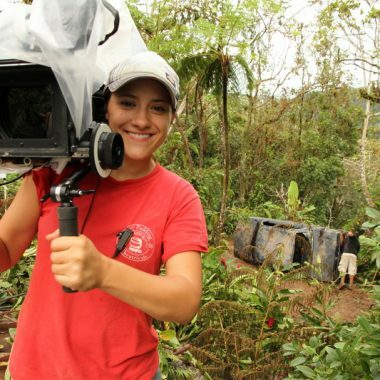 Currently working on her next projects, last year she was a finalist for the HBO, Sony, and NBC Directing fellowships.